AZZ.com is reporting that Michael Minns of Palm Beach Gardens, FL, has made a verbal commitment to BG. He is a 6'1" 285 D-tackle. There isn't a lot of info on him. Internet talk says that he is a run-stopping lineman who is almost college ready in terms of strength, and is compared with Hunter Maynard in last year's class and that he had offers from Marshall, UAB, Middle TN and Florida Atlantic. I'm sure we will hear more tomorrow, if this turns out to be true. Illinois' Mikhail Dubose has re-opened his recruiting search and is considering BG, WMU and Illinois. He had committed in December to BG. 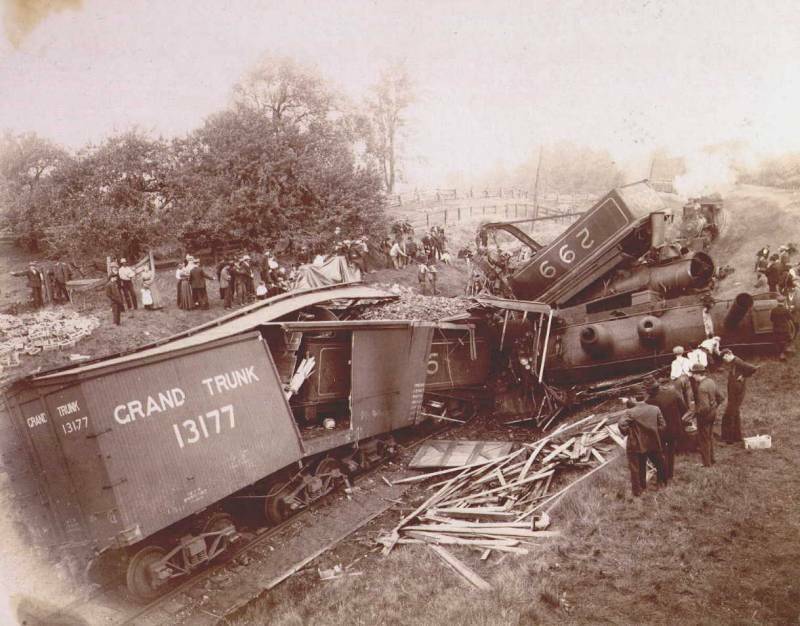 These are always trying times for the coaching staff and as they try to hang onto the commits they have. I know we successfully hung onto a couple last year and I'm sure we're doing everything we can. Ultimately, it is his life, and his heart will need to be in whatever decision he makes. If that's to play for BG, then all the better. He is one of 2 d-lineman in the class. ESPN ranks him as a 3-star recruit. I don't have any actual facts, but the Clawson style is to leave some scholarships open until late in the process to compete for some late deciders....there were a couple last year, and I would be surprised if there was not at least one this season. So, the Bracketbuster announcement is out. BG will host Morehead (easy!) State on 2/18 at 2 pm. I think we actually played them in a previous bracker buster, which is pretty bizarre. 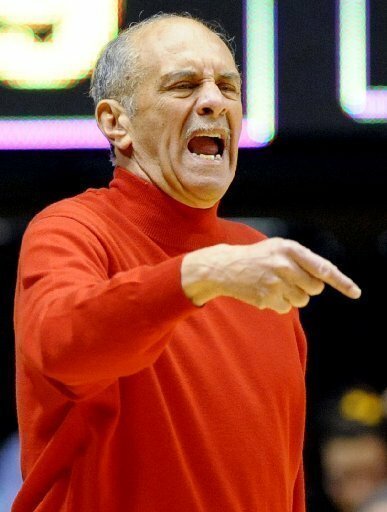 This is their coach...he looks like your uncle who always called you "champ." They are 12-11, though they have played a very good schedule. They pulled a huge upset over Louisville in the tourney last year before Richmond knocked them out. Should be an interesting game. The most important thing was that the media asked if the team had gotten to the point "where you might try to switch things up." This is a really good question. We've all heard the old saying that insanity is doing the same thing and expecting different results...and I think under the surface in the question was whether we aren't kind of stuck with this approach and these results. I don't know that we have anything different that would be better...the question was in a context related to Jehvon Clarke, and you might think that Craig Sealey could get some more minutes. Might not be better. But, it might. And what we are doing right now seems to have played itself out. Anyway, Coach essentially said no, that we might try things on a game to game basis, but he is not prepared to try a different approach on a bigger picture basis. "pin down" and when Coach watched the film, he said it was "hard to see" where it went wrong. He said that Clarke picked his dribble up, and then when Calhoun had the ball, he still had time but jacked up a poor shot. Most importantly, we didn't need a 3. There was still time to get a 2 and then maybe EMU splits a pair of free throws and now you only need a 2 to tie. Coach was asked if there was anything that could be done to improve in the last seconds. He said we already practice "situational" basketball and he probably should try to save a timeout. Which is the kind of thing I don't understand. If you are already practicing it and yet we don't execute, then you have to try something else. I am sure our guys are working very hard. I just don't sense that we are getting any better, and I'd think you'd be concerned about that. Thomas is second in minutes played. Brown is tied for 7th. Scott Thomas is 6th in Effective Field Goal %. A'uston Calhoun is 16th in possessions used. No Falcon is rated in the top 20 in offensive rating (points per possession). I personally voted for Evans and Rian Pearson, so I swallowed my pride and voted for a Rocket and he still didn't win. Meh. Second, look at Akron...6-1 in the MAC with 6 home games left. They are simply in very, very good position to make the semi-finals. If I had to guess, I'd say Buffalo would look good for the second spot, though Kent is still lurking. 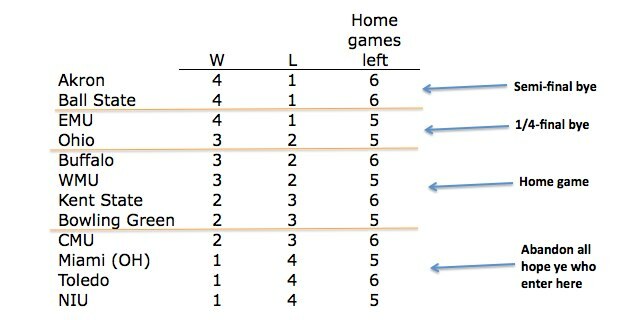 As you can see, BG is two games behind the top four, and has only four home games left. Our team has clearly put itself in a very difficult position. Either things are going to change from the way they have been for the year, or BG is going to be fighting for a home game. Last year, EMU was 9-21 with one of the 20 worst RPIs in D1 basketball. They were 5-11 in the MAC finishing tied for 10th. That team lost its top scorer and rebounder--its only double figures scorer, in fact. They fired their coach, and brought in a Syracuse assistant who is in the first year of implementing a defensive style and the same 2-3 zone that BG has been trying to use for five years. And for all that, EMU beat BG last night. EMU is 5-2 in the MAC. You have to give Rob Murphy credit...he took a pretty messy situation and figured out how to win games. It isn't necessarily pretty. They hold the ball for long periods of time, running down the clock without even attempting to move the ball. But, they play among the most effective defenses in the MAC, and they are winning games. When they say it starts with defense, they can actually back the words up. Meanwhile, BG's Falcons, who were 14-19 last year and tied for 7th in the MAC, lost only one bench player from that team, and figured to be better this year. BG isn't finding ways to win games, BG is bumping along, matching wins with losses. EMU has found a way to consistently win; BG has not. Yesterday's game unfolded almost exactly as expected. It was a 61 possession game, which is very slow, and neither team shot the ball very well at all. Which is exactly the way EMU wanted the game played. When you play the way EMU does, you're not going to build up any big leads but you aren't going to fall far behind either. It just changes the psychology of the game....a 5 point lead feels insurmountable. EMU led most of the second half, much of it in the 5 point range. With 3:39 left, the game was tied at 43 when Jehvon Clarke nailed a 3-pointer. For all the struggles of the night, it was anybody's game. That didn't last long. EMU came down and nailed a 3 to go back up 3. Oglesby drew a foul on BG's possession and made 1 free throw. And EMU came down and nailed another 3 for a 5 point lead with 2:28 to go. EMU is not a good team shooting the 3, but the Falcons defense wasn't guarding on those possessions, and they made 2 right when they were needed. So at 49-44 with 2:28, EMU then held BG without scoring until there was :42 left. The Eagles had made one more basket in the meantime for a 7 point lead. Jordan drained a 3, and then with :28 left he was fouled on a 3 and made all 3 FTS to cut the deficit to 3 points. BG fouled Antonio Green with :24 left, and he gave the Falcons a gift, missing both ends of his bonus. BG was out of time outs and really needed a 3, though you're still in the game even with a 2. Whereas EMU had nailed 3FGs when they needed them, BG could not get open against the Eagle defense and settled for a low-percentage jumper by Clarke Calhoun that missed. And that's how a frustrating loss occurs. Jack Carle asked Coach Orr in the post-game if EMU "imposed its will" on the Falcons. Coach didn't want to go there, preferring to say that his team beat itself. It is pretty hard to argue with that assessment. BG had 19 turnovers against only 11 for EMU. In a game where you are already struggling to score, 19 completely empty turnovers is deadly. (Keep in mind that 19 turnovers is a lot in a normally paced game. In this game, BG turned the ball over on 31% of its possessions). And, BG shot only 59% from the line, wasting a night where they had generated 22 free throw attempts. You change those variables, and you can win the game. EMU held BG to .82 points per possession, which is about the same efficiency BG had against Georgia. It is the lowest in MAC play since the game @Akron in the 09-10 season. Meanwhile, EMU got .9 points per possession, slightly above their season average. As you can see below, BG was equal with EMU on shooting, got some offensive boards, but failed on turnovers. The free throw rate stat, which measures FT attempts against FG attempts is misleading when you miss your free throws. Individually, Calhoun led the team with 12 points, but that's a victory for EMU, because he was forced to take 16 shots to get those 12 points. He did have 9 rebounds and 4 turnovers. Dee Brown had 10. Scott Thomas scored 7 with 8 rebounds, and Crawford had 8 with 4 assists. Oglesby had 6 points and five turnovers. And so the beat goes on. Next up is WMU in K-Zoo, where the Broncos are undefeated this season. WMU is right in the mix with the Falcons for seeding, and a road win would really help the Falcons. To deliver on that, they will have to bring something we haven't see too much of. Everything starts somewhere. The Falcons continued to be unable to string any kind of success together, losing in a glacially-paced game in Ypsilanti Saturday, 55-50. BG falls to 2-8 on the road, and as the standings look today, are the final team with home court for the first round of the MAC tournament. First, EMU is playing lock down 2-3 zone defense. How is it their team plays the 2-3 very effectively in the coach's first season, and BG has used it for 5 years and always ended up ranked in the middle of the conference in defense? Thanks to 2 missed free throws, BG had a chance to tie the game late with a 3, but had no timeouts and did not sound like they got anywhere near getting a shot off. BG lost the game with 19 turnovers. EMU had only 11. There is always a chance for things to turn around, but we seem to be settling into a pattern....and that is to be a good team at home (though not great) and a poor team on the road...unless that changes, especially the second half of the equation, this is a .500 team at best. And with everyone back this year, I just guess we'd hoped for something better than that. He guided the Rangers into the WPIAL Class A quarterfinals and their first postseason victory since 2003. He passed for 2,171 yards and 23 touchdowns while rushing for 703 yards and 12 scores. Garry will graduate with Fort Cherry records in career passing yards (4,502) and touchdowns (50). He rushed for 1,223 yards and 19 touchdowns. He was coached by his father Tim Garry, and played alongside his cousin Corey Garry. At Fort Cherry, the football field is named after his grandfather, Jim Garry. According to the article, if he improves and shows potential he will be in line for a scholarship after he redshirts next year. He did have a number of FCS and DII offers, but wanted to play in the FBS. "If you can throw, you can throw," he said. I don't think you hurt yourself with a guy like this. You never know what a guy can turn into when given the chance. And from his perspective, he can always transfer after a couple of years to a FCS or DII school. First, we knew Hurley had left the program. Falcon Fodder lets us know that DB Aunre Davis and RB Erique Geiger have also left. Davis is transferring to Mercyhurst. He was in Clawson's first recruiting class. He made 3 career starts and 9 tackles in the 2010 Miami game, but made 0 tackles last year. Geiger was also in that first class. He had 52 yards on 19 carries last year and 6 receptions. He made one start late in the year. He added depth to the RB corps. No word on where he is going. As always in these situations, my attitude is that it is their life and they have to live it. I got to make my own choices and so should they, so we wish all 3 of them the best. Falcon Fodder talks about a couple JUCO players who are in the house. You have heard about both of them here before. WR Michael Allen was a guy we wondered about because he had no football activity last season, but it turns out he was a short a class and could not go to San Diego State as planned. So, he sat out and now is coming to BG. The other guy is C David Kekuewa. Both are enrolled and will be in Spring Practice. They will be joined by Coy Brown, a true freshman, and WR Jermal Hosley, who was part of last year's class but delayed his start due to a summer injury. One that I have not written about is Andre Givens. Givens signed a LOI to Pitt in 2010, never played there and went to a Prep School instead. He enrolled at BG last Fall. He did not practice with the team or appear on the roster. According to Falcon Fodder, Givens was one of the top RBs in Ohio as a HS player, and will be able to participate in football once he clears up some eligibility issues. You don't know what to expect with a guy like that, but it would appear that he has the tools to contribute if everything can be focused right. And depth at RB will be key. The Falcons travel to Ypsi on Saturday for a game against the surprise team of the MAC, the EMU Eagles. Now, how much of a surprise they are will be revealed from their trip through the East. They have already met last year's win total. In fact, last year, they were 9-22 with an RPI of 328, and plain dreadful on top of it. Note, too, that their best player Brandon Bowery, had graduated off an already weak team. They fired their coach, and brought in Syracuse Assistant Rob Murphy, and he has shown some success right out of the gate. Now, to put that "success" in context, their out of conference wins were really soft. They had only 5 wins, 4 D1 wins, and their best win was over UALR (#191) in Ypsi. Three of their wins were over teams with RPI over #256 and they lost @Colgate (298) and @Texas Southern (#241). I think people were thinking it was more of the same when they opened MAC play beating NIU and then losing to CMU at home. The Eagles then went on a 3-game winning streak, winning @Ball State, and beating WMU and UT (both in Ypsi). Their first cross-over game was @Buffalo and they lost by 18. Based on this, I'd say they are not as good as their record. They are 5-2 at home, however, and have one more quality road win in the MAC than BG does...this is the kind of game you need if you are trying to break out of the .500 track...and BG has 1 road win and 2 home losses, so a win just gets us to even. EMU has been making its bones on defense--incredible rock solid defense. They play the slowest paced game in the MAC at 59.7 possessions per game (all numbers here are conference only). They lead the MAC in allowing only .87 points per possession, which is #10 in all of D1. We have seen in the past there are are a couple ways of doing that--creating turnovers or defending the shot--and they are clearly the latter. They allow a straight FG% of 38.6 and an effective field goal% of 42.6%, both of which lead the MAC and are 9th and 17th in the NCAA respectively. They are still strong, though in the middle of the MAC, in allowing free throws, preventing offensive rebounds and forcing turnovers. Anyway. They're playing great defense but they are only 9-11/4-2, so you have to expect that their are not scoring the ball great. They are last in the MAC in offensive efficiency, effective field goal %, and 10th in offensive rebounding. They are 11th in turning the ball over, and only rise to the middle of the pack in their ability to get to the free throw line, in which they are 7th. Now, it is worth nothing that this is the 2nd most experienced team in the MAC, behind only Kent State, so Murphy is partly building on that. Darrell Lampley, a senior G, leads the team with 10 points per game in conference play. To get there, he is shooting 32% from the field. Jamell Harris, a 6'9" Jr., is 7th in the MAC in rebounding at 6.8. They have another big man, 7'0" So Da'Shonte Riley who transferred from Syracuse. He actually received hardship status because he wanted to move closer to home to be near his grandparents (he is from Detroit). He is averaging 5.3 rebounds and 2.3 blocks per game. This will be an interesting game. You have a one-dimensional team in EMU, but they are at least strong in that one dimension. BG needs to string some strong games together, and this would be a time to start. It will be interesting to see what the Falcons show tomorrow. This was shocking news when I heard it this morning, and I certainly send my best wishes to Coach Miller for a speedy recovery. The University has asked everyone to respect his privacy, and I'm sure everyone will. In it, he refers to a "wake up call." Obviously, I have no idea what was behind this from a medical standpoint. I do think it stands as a reminder to all of us to keep our life in perspective, to enjoy your passions, but not be ruled by your passions. There is a healthy balance to all things, and we should all strive to find that balance through harmony and moderation. A good time for all of us to reflect, I think. The Falcons went out yesterday and got a win they pretty much had to have. It many ways, it was far from a perfect effort, on the other hand, they took a poor team and beat them pretty easily, and that's what you are supposed to do with poor teams. (Final: 71-58). I was surprised, in fact, at how negative Todd Walker and Kirk Cowan were when I got out to my car. While acknowledging that it was far from a great effort and we might have lacked intensity here and there, BG took the lead 8 minutes into the game and never lost it again. In fact, it was not a one-possession game for the last 26 minutes of the game. BG had a 17 point lead in the second half, and yeah, they did run it down to 9 with about 10 minutes left, but it was back to 15 within 2 minutes or so and never within 10 again. I know Central is not a great team, I covered it in the preview. I just think we did what we had to do to a poor team on our floor, which is beat them soundly. Now, there is one area of the game that was poor--historically poor, in fact--and that was BG's work on its own defensive boards. CMU...the WORST offensive rebounding team in the MAC...rebounded 55.6% of their missed shots. That is an incredible number. I use statsheet.com for this kind of thing, and it is the highest rebounding percentage allowed by BG since their stats start in 2000-2001. That's a lot of basketball, and a lot of games against teams who were set up to outrebound us--like MSU--and they never did that kind of damage. This year, MSU only got 44% and last year 52.9%. And CMU was not set up to outrebound us, they were set up not to outrebound anybody. 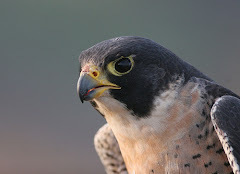 The other facets of the game, however, were squarely in the Falcon's hands. BG shot 51.7% and held CMU to 36.5%, had better 3-point shooting, won the free throw war by 10 and had fewer turnovers. CMU was held to only 4 3s...so while rebounding was very poor, the remainder of the game was all BG and the Falcons had an easy home win. BG had 3 strong scorers. Crawford, Thomas and Calhoun each scored 14 points, and Crawford added 7 assists over 2 turnovers, and Thomas added 8 rebounds and 4 steals and Calhoun had 11 rebounds and was 4 of 6 shooting and 6 of 6 at the line, providing efficiency we have not seen from him often. Dee Brown added 12 points, and Oglesby brought 8, all in the first half and all when BG needed someone to step up and score. Cam Black continues to look more mature in every game. He had 6 points, 3 rebounds, 3 blocks, 3 steals and 2 assists in 25 minutes. Coach Hopson said in the post-game that Calhoun is drawing consistent double teams now, and I continue to think that a player which Black's skills can really exploit that on the offensive end. Coach Hopson said he only needs confidence. On the CMU side, big-time recruit Trey Zeigler had 17 points and 10 rebounds. He's a good player, though if we had a MAC draft, I wouldn't pick him first. The rest of the starting backcourt shot 5 of 25, and Trey is only one guy, and they just didn't have nearly enough last night. So, for the Falcons, two road games loom. First, against EMU, the upstart of the conference, and then @WMU, a place BG had struggled to close out close games. I did agree with Walker and Cowan on one thing....this Falcon team is not a serious contender for anything until they start to string together some wins...and their season-long winning streak of two doesn't cut it. And the next opportunity to change that comes Saturday in Ypsi. The middle phase of the MAC schedule is cross over time, when East plays West. This is where things start to become clearer. The East is considerably stronger than the West, and this is typically a time when we see if those jackrabbits who have run to the front of the Western pack are players or pretenders. And, the East teams realize they need a nice run to be competitive. It was in the cross-over games that BG's regular season championship team began to take form....perhaps it might happen again. First, the Chips. 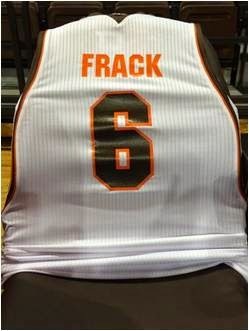 They come to the Stroh at 7-11 on a 3-game losing streak. They have played, to date, a pretty easy schedule. RPI wise, their best win is @EMU, which is pretty hard to believe. They also lost @Tennessee State and are the only D1team anywhere on earth to lose to #337 NIU. Looking at conference games only, and remembering who that includes, CMU is 6th in the conference in offensive efficiency at a straight up 1 point per possession. They lead the MAC in 3FG and 3FGA although they are only 5th in 3FG%. Their efficiency is largely tied to the fact that they lead the MAC in only giving up turnovers on 15% of their possessions. They need every one of those possessions, because they are 9th in Effective FG%, 9th in Free Throw Rate and last in offensive rebound percentage. Coach Orr said at his presser this week that CMU is a guard-oriented team. If BG can keep the guards from getting hot from outside, they should be able to own the paint. In other words, you'd like to think this is a nice match up for our defense. Defensively, the Chips are allowing 1.04 points per possession, which is 9th in the MAC. They are dreadful defending the shot--they are last at 55% Effective Field Goal Percentage. They do force turnovers--they are 3rd in the MAC at about 26%, but they are 10th in defending their own offensive boards and allow the highest free throw rate in the MAC. CMU is paced by 3 high scoring drives. Obviously, phenom Trey Zeigler is leading the way with 14.6 points and 6.8 rebounds, both team highs. Derek Jackson and Austin McBroom are both 6'0" guards who are scoring 13 points a game. McBroom also gets about 3 assists per game. I don't know how to say this any differently than this...BG absolutely has to have this game. Two home losses in a row have put BG behind the 8-ball, and they need to hold serve, especially against a team like this. I don't necessarily think that BG is a MAC powerhouse, but on our home floor, we just gotta have this game. A loss here, and even competing for home court becomes a challenge. Beyond that, if this team is going to play with its better nature, it needs a run through the West, and this is a chance to help. Final note: as if to make the point, Akron beat West favorite Ball State by 12 last night in Muncie and Buffalo smoked upstart EMU, though that game was in Buffalo. Earlier there had been talk of Nigel Westbrooks, a JUCO WR from California making a verbal commitment to BGSU. As we know, verbal commitments are non-binding and it has been announced that he will attend Nevada. Que sera sera. BG still has two WRs in the class, James White, a HS player from Detroit, and JUCO WR Michael Allen. Coach Orr held a presser...much of it the normal stuff, but he did get one good question about how you balance out the need to win with the need to get young guys some playing experience. Coach nodded his head and conceded he has been thinking about that. He says our momentum has come from our Juniors and Seniors, and that in games the margin of error is very small. Basically, he said that young players are supposed to improve in practice and contribute by being solid when they get a couple of minutes in the games. But, the games are so close that you can't give them minutes just for growth. He cited James Erger as a player who makes the most out of his minutes. The Chips lost to their arch-rival WMU Saturday. It was their third straight loss. CMU mounted a rally, coming from 11 down with 4 minutes left. They had a shot to tie the game with a 3FG in the last seconds, but had a player slip getting the inbound pass and Zeigler missed a desperation 3. Ernie said that he saw his team panic once the Cardinals opened a large lead, and then players tried to do it themselves instead of moving the ball and finding an open look at the hoop. Note as well that Freshman G Jorddan Myrick has a hip injury and has missed the last four games. He was used sparingly when healthy. Finally, here's a column from the CMU student paper. It addresses what is the central question about the CMU program. You get the top recruit in the MAC in recent memory (Trey Zeigler), a guy who was recruited to the top programs in the US. And yet, the team has struggled and really not improved and they play in the West, where a little skill would go a long way. Zeigler has been good, though he is far from dominating the MAC. I know he's only a sophomore, but for a player with those credentials, you'd expect an immediate impact, and his impact as a freshman was less than DJ Cooper or Javon McCrea, as examples. He’s fifth in the Mid-American Conference in scoring, averaging 15.8 points per game. Zeigler is seventh in the conference in rebounds, averaging 6.8. To be fair, he's getting their the hard way. Zeigler is using 30% of his team's possessions, which is second in the MAC behind Abdel Nader of NIU, who, frankly, I never heard of. Zeigler is 52nd in the MAC in offensive efficiency. Nobody can win a championship alone. The pieces around Zeigler are slowly coming. Sophomore guard Derek Jackson is a high-riser with speed and athleticism. Freshman point guard Austin McBroom is a floor general and gives added stability to a position that was in shambles because of the Amir Rashid-Antonio Weary project. That might well be true. My own thought is the same one that I had when Trey signed at CMU...which is that I think they were ready to unload his Dad as Coach, and kept him to get Trey. I have yet to see anything from Zeigler the Elder in terms of building a winning program. It used to be a lot more common....having a guy on the football team also play baseball. In the era of specialization, it has become far less common. I grew up watching Paul Miles play football and then play baseball. BG QB Bob Niemet played both sports. Of course, there is the famous Cole Magner tenure on the basketball team (along with Keon Newsome)...and that magic day at Anderson against the RedHawks. There are probably more. Last week, we heard for the first time about a new one--OL Clay Rolf, who is going to play for the baseball team as well. Rolf was a big HS star at Eastwood, and according to this story by Kevin Gordon in the Sentinel Tribune, wanted to play baseball at BG. Coach Clawson said that if he got through his freshman year and was doing well on football and academics, he could play baseball. He conditions and works out with the football team in the morning, attends class from 11 a.m.-2:30 p.m. and then heads to baseball practice until approximately 4:30 p.m.
On the other hand, baseball has limited scholarships, and it gets them a scholarship quality athlete without having it count against them. And, if managed correctly, I think it can be a non-issue for football, and Clay might be a better player if he can do both. As another collective effort of the MAC bloggers, we are starting a Player of the Week award, moderated by The MAC Daily. Which happens to be exactly how I voted. So...things are different in the MAC this year. There are now two levels of byes you can win, and finishing in the top 2 and 4 present a huge advantage. Also, the division champion is no longer guaranteed a bye of some kind, which essentially means that the divisions are meaningless except for scheduling. So far, EMU and Ball State are qualifiers, but it remains to be seen if that can survive the cross-over games. So here are the MAC standings, with byes noted. For now, I have broken ties with RPI. It is too early to worry about tie-breakers. Obviously, Akron at 4-1 with an extra home game is a nice position to be in. It is clearly still early, we are not even 1/3 into the schedule but here is where things stand. For the second straight home game, the Falcons lost a last-second heartbreaker. It is extremely disappointing....you turn those two around and this team is 4-1 and we're feeling really good. But those two don't turn around, they are what they are, and the team is 2-3 and only four of the last 9 at home. Our cross-over road games are against the better teams in the West...at this point, 8-8 would be an accomplishment. Similar to the Akron game, this game turned on Buffalo making plays at the end and the Falcons not doing the same. The key sequence came with about 1:30 left. Calhoun had nailed 2 free throws to take a 1 point lead. Buffalo came down, their PG got some penetration, and the defense left the Bulls best player, Javon McCrea all alone, and he had an uncontested dunk to take the lead back. BG came down the floor, ran some offense. Cam Black had the ball and they didn't double him so he went to his hook shot but it didn't go down and Buffalo had the board. Buffalo came down, got the ball inside, and BG lost track of Barnett who drained a 3 and the Bulls were up 4. Right there, you have two defensive lapses where the Bulls made the Falcons pay....and a possession where BG had the ball and couldn't convert. There was only about 5 seconds left, and Coach said later that we only have one guy who can get down the floor that quick, which he is probably right about. Jordan raced down the floor. Buffalo had Mitchell Watt back--the conference's leading shot blocker--and you have to admire the hell out of Crawford because he went right at him. Unfortunately, Watt swatted his shot away and the Bulls had the win. Coach said after the game that you'd hope you might get a foul or something. You can second guess it all you want....maybe he should have pulled up for the jumper for example....the guy attacked the basket and Watt made the play. The defeat wasted a career night from A'uston Calhoun, who had 29 points on 12 of 17 shooting and added 8 rebounds. He also nailed all 5 of this free throws. Faced with a much bigger Buffalo team, Calhoun played an excellent game. Thomas added 12 points, 6 rebonds, 3 assists and 4 steals and Dee Brown had 13 points and 5 rebounds, though he shot poorly. Jordan Crawford also struggled with his shot, but had six assists over 2 turnovers. BG once again shortened their rotation a lot. Beyond the starters, only Oglesby (16) and Erger (9) got significant minutes. It was a 66 possession game, which has been slow for Buffalo. BG got 1 point per possession, which is about their average for the season. The Bulls got 1.03 points per possession, largely on the back of 8-10 3 point shooting in the second half. BG had an 8 point edge in free throws--the Falcon shot well at 15 of 19 and Buffalo shot poorly at 7 of 16--but the Bulls had 9 3's and BG only had 5. Overall, BG tried 17 3's, which can't be something that makes Coach Orr happy. In addition to the hot 3 pt shooting in the second half, Buffalo also had 7 offensive rebounds on 16 missed shots. For the game, they were actually below their season percentage. Buffalo is a good team. I can't stand Witherspoon, but this is a good team. They lost their PG, but Oldham has slid right in and is a very solid player. McCrea is as good a player as there is in the MAC, and Mitchell Watt is a Euro-style big man who presents a lot of match up problems. Robinson and Barnett and good in the supporting cast. This is a very solid team. Not to be lost in the mix is that this was a highly entertaining college basketball game. It was close the whole way, had a couple of second half runs and came right down to the finish. Except for the finish, I thoroughly enjoyed myself. So, the Falcons wrap up their first swing through the East with a game against Da Bulls, still coached by the old Buzzer Banger, Reggie Witherspoon. I think this has the potential to be a really good one and, under the new MAC format, you really have to hold court at home. I think its really put some heat under the regular season. The Bulls are 9-6 but they have played the #104 schedule in the country. They are 2-2 in the MAC with both wins at home. That schedule thing is a little over-rated, maybe. They did beat Dayton at UD, and decent Youngstown State and Niagara teams, but they also beat really bad St. Peter's, Cornell and Canisius. Their non-conference losses were @Princeton, St. Bonaventure, @BYU and @Temple, the last 3 of which all have two digit RPIs. They bring a very strong front court game. Javon McCrea is the 2nd leading scorer in the MAC (all stats conference games), and is 2nd in offensive rebounding as well. He's 6'7", plays taller and is a true stud. He was freshman of the year last year, and had some serious run with the national U19 team. He is joined up front by 6'10" Mitchell Watt. He is a senior who is averaging 13 PPG and 8.5 rebounds, which is tied for first in the MAC. He leads the MAC with 3 blocked shots per game. He is also shooting 58% from the floor. Then, there is Titus Robinson, who comes off the bench to score 9 points and get 5 rebounds per game. Their backcourt has some players too. They are led by Zach Filzen, one of the top 3 FG shooters in the MAC. He has struggled for most of the MAC season, through he did heat up in their last game. Their PG, So. Jarod Oldham, is 2nd in the MAC with 5.5 assists per game. Their struggles in MAC games to date have been related to scoring the ball. They are 10th in the MAC in offensive efficiency at .94 PPP. They are 7th in effective field goal percentage and last in turnover percentage...they are turning the ball over on 27% of their possessions. They are third in offensive rebounding, which helps, but should also be showing up in their shooting. They also do get to the line---they are 3rd in the MAC in free throw rate. They have been last in the MAC in 3-FG shooting, though Filzen's struggles are a part of that. So, we can see what the Bulls will be thinking about improving. They showed better offense than this in the pre-season, so they have to be looking to get back in the groove. And it presents an opportunity. If BG brings defensive chops, this team clearly can be defended. Now, Buffalo has been playing really good D themselves. They are 3rd in the MAC in defensive efficiency, allowing only .92 points per possession. Teams against them have only a 44% EFG%. Like Miami, they don't go for turnovers. They are in the middle of the pack on the defensive boards---they give up a lot of offensive rebounds but there are a lot of missed shots, too, so they end up in the middle of the pack in the conference. They do foul a decent amount and give up the 3rd highest free throw rate in the MAC. I think this has the potential to be a very good game. BG has played so well at home, and Buffalo is hungry for a road win. BG needs to play strong down low, which especially means watching to see if Cam Black continues to emerge on the inside. I'd say there's a shot that 3 of the top 4 seeds will go to the East, and if you are BG and Buffalo you need to win this game to get into that conversation. A guy who coached linebackers at BG has decided to go coach elsewhere. Up North. I forget his name. Some dude. Just a quick check in with the Buffalo Bulls media coverage. The most notable thing is that everyone seems to recognize how the new playoff structure makes finishing in the Top 4 basically imperative in winning the MAC tournament. This is placing increasing pressure on the regular season games, which is why I think it was exactly the right thing to do. Based on this thinking, Buffalo really needed a win at home against Akron, and they knew it and they got it. In other notes, Zach Filzen has really been struggling in conference games but had a good game against Akron. And, the Buffalo News reports on "rumors" that the MAC will scrap divisions for basketball and go back to an 18 game schedule, reflecting the expense and difficulty in getting non-conference games at home. I also applaud this...combined with the new format, I think we'd be able to extend the most exciting part of the season. Well, just when things were looking like another average season for the Falcons, a little light showed up in the tunnel. They might still end up with a pretty average season, but last night was also the kind of thing you can turn things around on. You head to that game 1-2, and if you lose you're 1-3. Now, you're 2-2 with the next two games at home, and you start to feel like you might be able to make a little run. Now, obviously, you have to continue to produce consistently and that means putting a little winning streak together. But everything looks and feels better after a road win. 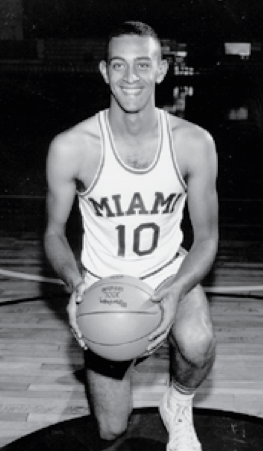 BG had not won in a full decade in Miami, and Coach Orr (obviously) has never had a win. It sounded to me like this was the kind of consistent, buzzer to buzzer effort BG has put together only a couple of times this year, and the first on the road. It is only BG's second road win of the season, the other coming against Florida International, a team with a 4-13 record. The initial 27 minutes of the game were very close, with the lead changing hands off and on and no team ever holding a lead of more than 4 points. The game was tied at 38 with 13 left in the game, and BG made a 14-4 run over 5 minutes to take a 10 point lead. Thomas and Crawford both had 5 points during the run. From there, it was never a one-possession game again. Miami did make everyone a bit nervous and got the lead to 5 with about a minute left, but they could get it no closer and BG made 5 of 6 free throws in the final minute and held Miami to 2 points to get the win. BG's defense was probably the star of the day. It sounded like BG played a mix of man to man and zone but mostly man to man, and it sounded like they were effective in man for the first time in quite a while. It was played at Miami's pace (63 possessions) but BG held them to .9 points per possession, our third best road defense this year. BG held Miami to 38% shooting in the 2nd half and 27% from 3, and that was truly the difference in the game. On offense, BG tried only 8 3s, which must have made the bench happy. Consequently, BG shot 50% and had an offensive efficiency of 1.03 PPP. As I have mentioned before, if you can shoot 50% and take care of the ball, that is a nice combination, and BG had only 11 turnovers compared to 16 for Miami. BG, in fact, had modest advantages in each of the four factors of the game. I think the big story of the game was the big contributions from a few different Falcon players. You have to start with Scott Thomas, who had 11 points, 11 rebounds, 5 assists, and 8 steals while shooting 5 of 8 from the field. That, my friends, is a stat line to be proud of. Then, Jordan Crawford chipped in 25 points on 10 of 13 shooting. That's a career high, and incredibly valuable on a team that sometimes lacks scoring punch. When those two guys have those kinds of games, BG is going to be tough to beat. A'uston Calhoun had 13 and 6 rebounds and Dee Brown had 10. Neither of those guys shot particularly well, but did come up with a couple key baskets as needed. Finally, Cam Black played 25 points on a bad foot and blocked 3 shots. BG definitely tightened up the rotation, which we have seen Coach Orr do previously when the team needed a win. Black didn't start, but Thomas, Brown, Crawford and Calhoun each played at least 34 minutes. Meanwhile, Mavunga had 17 points but he had to get there on 5 of 12 shooting, which means he actually used a lot of possessions for 17 points. He also was held to 4 rebounds. On Mavunga, a pretty good day for the Falcons. So, BG produces a nice victory on the road, and comes home to play the Buffalo Bulls on Saturday afternoon. It would be great to see the Falcons go on a little run here and string together some wins, which you can only do one game at a time. We have seen this team play like this before, but consistency is the challenge. Perhaps they felt a little challenged after the Kent defeat, and maybe they are willing to express a different identity to the league. First win at Millett in 10 years for Falcons....great effort....sounded like a great night from Crawford, Thomas, Calhoun and Black. Go Falcons!!! Our host this week is Eagle Totem. Here are my answers to his questions, and I'll post a link to the compilation when it is ready later in the week. 1. 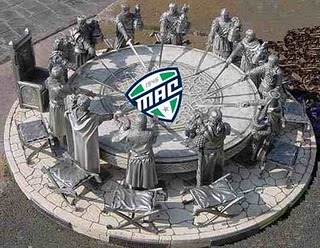 Getting a second NCAA bid: did Ohio screw the MAC's only chance, or is there still hope? No. Well, technically, there never actually was any hope, so the hope level is the same as it ever was. Which is none. The MAC is a one-bid conference. 2. Parity or fluke? Ohio started conference play 1-2, while the directional Michigan schools, which combined for a 16-25 non-conference record, each went 2-1. These things tend to come out in the wash. It is a very long conference season, and the stronger teams usually rise to the top. I would expect the cross-over games to be tilted to the East again this year. The MAC has an odd kind of parity. Certainly, there is home-court parity, and there are three good teams and 2-3 wretched ones. In the middle, though, are teams that are close to each other and not that far fro the top 3 teams. 3. If you could steal one player from another MAC team to add to your school's team for the rest of this season only, who would you take? Well, the obvious answer is McCrea or Jones. But, if I was looking for a guy who could really compliment the guys the Falcons already have, I'd say a scoring guard--Ziegler, or, if that seems greedy, Zach Filzen. 4. Miami's Julian Mavunga leads the MAC in both points per game and rebounds per game. Make the case for someone else as Player of the Year. Well, to make that case you would have to resort to the argument that the best player can't be on a team with a poor record, and then you'd be looking at Justin Greene, DJ Cooper or Zeke Marshall. 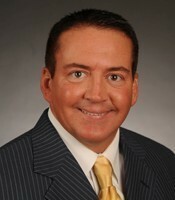 Sources I would prefer not to disclose have provided me with this photo. This is the evil genius, Charlie Coles, during his playing days (late in the William Howard Taft administration) in what has now become his Treacherous Lair: Oxford, Ohio. ...the man who is the evil genius. I don't know if it was exposure to radiation, a very bad plate of clams, or some horrific trauma, and, my friends, it doesn't matter. He is who he is. This year, he has employed a giant, basketball playing zombie, a remorseless player who attacks without conscience...we shall know him as Mavunga. And he leads the MAC in scoring and rebounding. His RedHawks are 5-10 this year, but as usual, that is nothing but a clever ruse designed to lull the innocent hikers into his cave for the night. They have played the 40th toughest schedule in D1. They beat a very good Dayton team and a good Belmont team, and while I am sure he was not happy to lose to Troy and Evansville (that one at home), their 10 losses include defeats at Xavier (by 6), UC, Ohio State and Vanderbilt. Inside the MAC, they have lost to Akron in Oxford and @Kent, though both games were winnable right up to the end. Then, they battled from behind to beat Buffalo in Oxford, 52-51, in a game they had to have. And got. See what I mean? There was some trouble off season, as JR G Orlando Williams was convicted of theft charges and excised from the kingdom. Then Jr. Guard Allen Roberts, who played 24 minutes a game last season was lost with an injury for the year. First, Mavunga transformed from good to great. Then, freshman Brian Sullivan stepped into the guard's role and became the team's second leading scorer. Sophomore Josh Sewell, who played 10 minutes a game last year became their third leading scorer. Transfer Bill Edwards became their second leading rebounder. And the beat goes on. Next Zombie Up. His tactics do not change. They play the a stupefyingly slow pace, 60 possessions a game in conference play and then they defend the field goal, not the turnover. To the evil genius, a turnover is rebounding a missed shot. They can't be happy with the success so far. Tempo-free stats are important here, given their place. In terms of points per possession, they are 8th in the MAC and they are 9th in the MAC allowing 49.7% effective field goal percentage. On the other hand, that Buffalo game, where they won with 52 points. That must have been music in the dark soul of the evil genius. Offensively, they are scoring only .98 points per possession and are 6th in effective field goal percentage. They don't really care about offensive rebounding and it shows...they are 11th in the conference. They are near the bottom in getting to the line....they do take care of the ball well, but don't shoot the 3 especially well, which leaves us with a pretty typical Coles team...very deliberate, a lot of passing, and a desire for higher percentage shot. There are no easy road games in this conference. But, compared to winning @Kent or @Akron, and this year in particular, this is one where the Falcons would need to pick one up if they are going to pick one up. At this point, winning out at home would require one road win just to be .500. It won't be easy. The Evil Genius always has his legions prepared for battle, and they are difficult to beat. BG has shown no ability to play effectively on the road. The question, ultimately, is whether the team hit a tipping point at Kent. Coach Orr was clearly frustrated...are they ready to play as well as they are capable, or are they going to continue to provide only tantalizing glimpses? We get a chance to answer that question tonight. As signing day draws closer, BG continues to close fast with one highly rated HS player and a JUCO WR. The HS player is William Watson of Tampa Jefferson. He was at one point committed to Iowa State, but then was available again. He also visited Middle Tennessee State and had reported interest from Indiana. He was named to the all-district team He is listed on rivals as a 3-star recruit. When he committed to Iowa State he was considered "one of the top secondary prospects in the Bright House Sports Network’s extended I-4 corridor Tampa Bay region." Here are his senior numbers...note the return numbers as well as the defensive numbers. Watson recorded 18 total tackles, six passes defended and two interceptions, tied for the team lead, for Jefferson, who finished the year 6-4 after winning the Class 3A state championship in 2010. He also rushed for 160 yards on 24 carries, caught one pass for 12 yards in a 22-0 win over Sickles and returned eight punts for 209 yards. Michael Allen is the JUCO player, coming from East Los Angeles College. He is a bit of a mystery. He was their leading receiver in 2010 with 674 yards, 51 receptions and 4 TDs. He made first-team all-conference. Here it says he was the college's male athlete of the year and headed to San Diego State. Then there is nothing for 2011. Based on what we have to work with, I can only assume that it didn't work out with the Aztecs and that he did not play anywhere last season. Perhaps more information will emerge. Welcome to the Falcons, Will and Michael. Just a quick round up on what the local papers are writing about the RedHawks, who picked up their first MAC win at home against Buffalo. Everyone involved has correctly identified that was a win they had to have Their games have been close, but they have been on the losing end..
Josh Sewell, a starting G, declared himself ineligible to play due to an academic issue. He thought it would be cleared up this week. I'm assuming he violated a team rule and not an NCAA rule. After a loss to Kent, the evil genius, Charlie Coles, said these two things in the same press conference. I’ve got to convince my guys, (whose) heads were down in the locker room, and I’m not buying into that, man, we’ve got a thousand games left,” he said. “We’ve got to get better. That’s what we’ll try to do. The Falcons have another verbal commitment, this one another JUCO player named Joshua Pettus. He is from the Detroit area originally and was playing for the College of DuPage in Illinois. JUCO players can be hard to find info about. ESPN reports that CMU and Houston offered him, and he was first-team all-conference. And for good reason. He was the team's second leading tackler with 70, had 5 TFL and 1 sack. More impressively, he had 5 INT in an 8 game season, and 5 Pass Breakups to go with it. His team was 4-2 in conference and 7-2 overall. He seems to have played Safety up until now, but projects to a corner in D1. That is our 3rd reported JUCO verbal, which surprises me, especially at CB, where I thought we had some pretty good players. Obviously, he looks like a good player who can contribute. Welcome to the Falcons, Joshua. 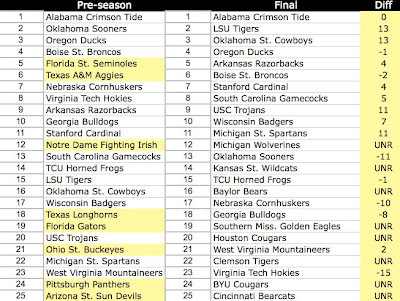 So, with the college football season, I thought it would be fun to look at the blogpoll I started with back in August and the final ballot I cast as the season ended. First, however, my pre-season #1 did end up winning it. There are others that were not too bad. I had Oregon, Akransas, Boise, TCU, West Virginia pretty close. I think the South Carolina pick was not bad, given what might have been expected. I severely underrated LSU based on their suspensions, which didn't end up making much difference. I didn't see as much out of Oklahoma State, USC or MSU. And, I didn't have Michigan or Baylor ranked, and they both ended up in the Top 20. 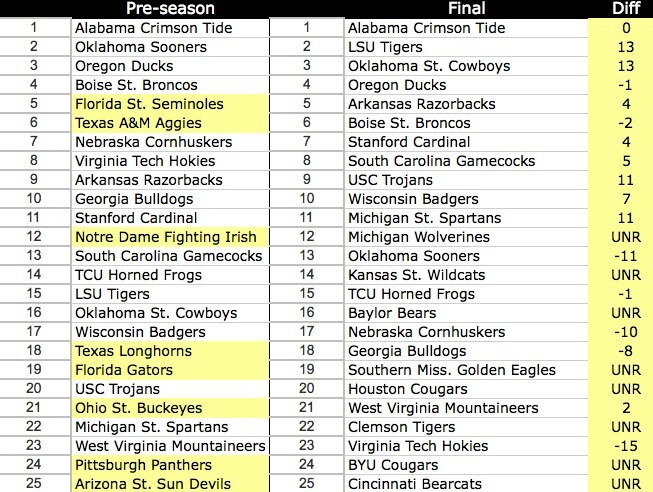 On the other hand, I REALLY liked Texas A&M and Florida State and they ended up unranked. (Note yellow on left side). Notre Dame....sigh...I think I fall for the "they're back" deal every year, especially when you look for a minute at the schedule they play. The other teams, 18 and below, those are largely crapshoots and not nearly so embarrassing. In the end, 17 of my original 25 ended up ranked. Looking now at the actual game. It was a bizarre game. A fast start, a dreadful middle, a crazy indulgent second half with no guarding and as the smoke lifted over the wreckage Kent had won more or less comfortably on their home floor. Six minutes in BG was up 15-7. Over the next 10 minutes, they outscored BG 26-8 to take a 10 point lead and then then had a 12-4 run over the last six minutes of the first half to lead by 18 going into the locker room. Over 14 minutes of basketball, BG was outscored 38-12. The second half--especially the middle part of the second half--was a whole different story. With 12:34 left, Kent was up 19, so play to that point had been pretty even. Over the next 4 minutes, BG went on a 13-0 run to bring the game back to six. While it was the only period in the game where BG was competitive with Kent, the Falcons had brought the game back into focus and had a chance to win the game. However, the game never got closer than that. In fact, with 3:47 left, Kent was back up 10. BG did nail a couple of late 3s to close the final gap to 5, but never has a possession where the game was a one score game. There's no doubt that winning at Kent is tough. They don't lose their very often. BG scores 87 and loses. BG gives up 92? Ugh. The last time BG scored more points than that, it was actually against Kent in the 2008-9 season. The last time we allowed more than 92 was against Xavier a couple of years ago. BG stayed with Kent shooting, which is good and bad, because it means we defended poorly enough to lose anyway. BG made 10 3s, the most since a game against Georgia State very early in the Orr reign. The 3-balls helped make up for a big difference in FTS (20-5), which, in all fairness, included 12 attempts in the last minute. It also included BG shooting only 45% from the line. The biggest thing BG could not overcome was turnovers. BG had 16 turnovers, which isn't awful, but Kent only turned the ball over 8 times and those 8 extra possessions were pretty deadly, especially on a night where BG was shooting well. Both teams were strong on the offensive boards, with Kent getting 19 and BG getting 16. Keep in mind that there were not as many missed shots as normal, which really makes those numbers impressive. BG rebounded about 57% of their missed shots. Overall, BG had 1.24 points per possession, their best D1 game of the season. Kent had 1.31 points per possession, BG's worst game of the season. Scott Thomas had 23 points, almost all in the 2nd half, to go with 8 boards. Oglesby double-doubled at 16 and 13 (missed one shot). Brown had 12 and 4 rebounds, and Jordan Crawford scored 10 points and had 13 assists over 6 turnovers. Craig Sealey had 11 points and 7 rebounds on 5 of 6 shooting in 19 minutes. Coach has been saying he needs to try and find Sealey minutes. In this game, it looks like he ended up with some of Calhoun's minutes. Calhoun played 21 minutes with 8 points on 4-11 shooting and 1 rebound. So, a pretty ugly and disappointing loss. I give our guys credit for fighting back, but when they show how well they can play, it almost mocks how poorly they play over stretches. The team needs consistent, high level performance, and until they can provide it, they are destined for the middle of the pack. They get another chance Wednesday to show they are making progress. Miami is weakened...but on the other hand, they did hold serve against Buffalo yesterday. Orr: "You can talk about it, you gotta be about it." One of the things about Coach Orr is that he always maintains a pretty calm exterior. 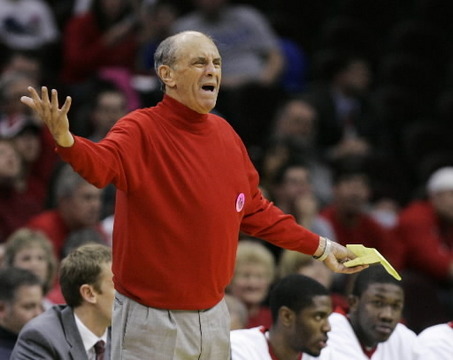 He isn't a yeller--especially at a school where he took Dan Dakich's place. I'm not saying he doesn't care, I know he is very competitive. He just doesn't show it the same way as other coaches do. During last night's presser after the defeat at Kent, I thought he sounded genuinely frustrated. It was a crazy game where BG started out strong, then played about as poorly as they are capable of playing for a long period. Then, they manage to score 60 points in the second half, the most in a long while, and make them game close before losing. I recommend you take ten minutes to listen to the presser. "In this league, especially on the road, you have to bring a certain level of toughness." "The first half...you look at our stats...we didn't bring that." "We put ourselves in a hole in the first half, and that was the difference in the game." "There was a point in the first half where they stepped it up physically and we didn't respond." "The second half was a whole different level of energy and competitiveness. But you can't put yourself in a hole here." "We cut it to 6 with 7 minutes to go, so it was anyone's game." "Craig Sealey, I thought he was very good. I have to find a way to get him onto the floor." "He made a great play. He chased down a block, he blocked the shot. And it was in the crucials. He makes the energy play but we get out worked for the ball. Two or three of our guys, I don't even know if they crossed half court." "But this is how competitive you have to play." "Hopefully this is a lesson we learn, but, you know, you only get so many opportunities." (Asked if the glass if half full). "Always. You build on that. But you know what? We gotta carry forward. You will be able to see how half full it is the next game. You can talk about it, you gotta be about it....you can't be inconsistent with that....especially on the road." (On Kent missing 2 FTs late and getting the board) "Free throw box out. We talk about it, it is part of our pre-game talk. Its huge. Torian Oglesby--I'm saying this because it happened on his watch but it could have been any of our front court guys--we have to do a better job on those types of plays in the crucials...you can't give teams an opportunity like that." "When you see that you're capable and then you play a half like we played and you play the two games and a half that we played, we're more than capable. I'm mean, we're right there. The next step is you have to bring consistent effort and compete at a high level. (He is slapping his hands here). This is a competitive game, man. Basketball in the MAC is competitive....physically, emotionally, you gotta bring the fire for 40 or more. You gotta bring it." This week I posted some video of John Groce after the BG game. With a different demeanor, I think Coach Orr is in the exact same place. He's clearly frustrated, as I'm sure everyone is in our program. From a fan's perspective, I think his comments are very illuminating. We have some players, but we can't compete day in and day out, especially on the road. I mean, when a player misses a box out and the coach says "it could have been any of our front court players?" That's tough. I honestly think we are better than this...or we should be...but right now, this is who we are. There's always another chance to show it...you can always change it. But right now, I think he made a pretty fair and accurate assessment of our body of work. More on the actual game later. The Falcon football team has two new verbals, as signing week comes up. The last two years--and especially last year--our coaches leave spots open until late. They want to compete for the good players and we often get some late signees who we are beating other programs for. The first reported verbal is James Sanford. He is a S from Xenia, OH who looks like a great get for us. ESPN calls him a high 2-star. He had an offer from West Virginia and the Dayton Daily News reported offers from Michigan State and UC. He also was offered by Ohio and Toledo. He is an athlete. He is a track star, and the Dayton paper reports that he runs a consistent 4.5 and has a 36 inch vertical. He is very strong in coverage as well as in coming up to make tackles in run support. He starts at 6'1'' 180, and would be expected to get bigger at BG. He was all-conference and honorable mention all-district. The other is Scott Davis, who was playing post-graduate ball at Fork Union. He is originally from Richmond and also had an offer from Ohio U and James Madison, a top FCS program. He is a TE. At first I wondered why we were signing another TE, since BG is pretty deep at the position already. One thing to notice about Davis is that he is HUGE, 6'5" and 240. In addition, he was all-district as a TE and punter. In the video below, it appears that he was lined up often in a more wide position playing like a WR. (Just for grins, check out the circus catch that leads the highlights off). These post-grad guys can be hard to find info on, but he is mentioned here with a number of key receptions in a game against Wagner College. So, welcome to the Falcons, James and Scott. Back in the saddle...an actual business trip prevented me from doing more than just seeing the Akron score alerts from ESPN during a long dinner meeting out-of-town. Sounds like we had a very good shot at starting 2-0 in the MAC and couldn't close the deal and the Akron whammy continues. Anyway, now on to Kent. The Flashes are 11-4 overall (RPI 112) and 1-1 in the MAC. This is the model program in the MAC. They are good every year, through graduations and new coaches, they have not skipped a beat in many years. If you wanted to see where your program should end up, this would be it. They didn't play a brutal non-conference schedule. They did get a big win @WVU, lost an opportunity for a big win against Cleveland State, but beyond that, their wins are solid and consistent, but not over great competition. They lost @Buffalo by 1 to open the MAC season and then beat Miami at home to even things up. Their local paper reports that MAC POY Justin Greene will play, despite having a boot on his foot as a "precautionary measure." Eric Gaines, however, will not play (he's a reserve who does figure in their rotation). Kent is very, very difficult to beat on their home floor. They are 64-7 over the past 9 seasons in MAC home games. Three of those wins belong to BG, for whatever it is worth. BG won @Kent in '05, '06 and '10. Last year, Kent swept the series with BG. Statistically speaking, on offense, BG and Kent are very comparable. The Flashes are better at getting to the line, but the other numbers are very similar, and at least according to the RPI, BG has played a tougher schedule this year. It is on defense where things might start to diverge a little. Kent has played very good defense, allowing only 61 points a game, compared to BG's. That's 55th in the country. Their points per possession, at .91, is 38th in D1. They are a good defense team because they force turnovers on 25% of their possessions, which is in the top 20 in the MAC (on other other hand, OU was #2) and when you do get a shot off, they are strong there, too, ranked #76 in EFG Defense. They are not strong on the boards, but they do keep teams off the line--#76 in the country. Player wise, this is an experienced team. They are in the top 10% of the country in playing time ranked by class. Their marquee player is Justin Greene, who is scoring 12.4 points per game and 6.5 rebounds on 49% shooting. He was last year's MAC POY. Randall Holt is scoring 11.9 points and Carlton Guyton has 10.4 and 3.5 assists. Michael Porrini is scoring 8 points, getting 5 rebounds and 4 assists per game. They do play deep. They have 9 guys who are averaging 10 minutes a game or more and no player averaging more than 31. I have felt for a while this is the best team in the MAC. They are experienced, play strong defense, protect home court, and are stone-cold when it comes to winning games. This will obviously be a tough assignment for a Falcon team that has yet to play well on the road. On the other hand, perhaps the OU game showed the Falcons what they could do and the Akron game pissed them off a little, and they can bring something we believe is in there but we haven't seen yet. Hard as it would be, a win here would be huge. It is like gaining a game on virtually every team that plays at Kent this year. Hurley: "I felt like I really didn't have shot." Does BG's men's basketball team foul too much?